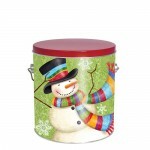 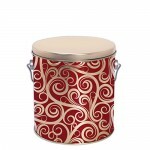 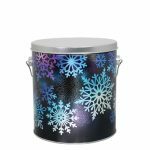 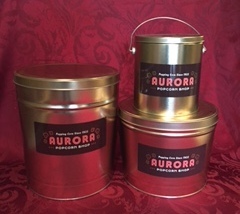 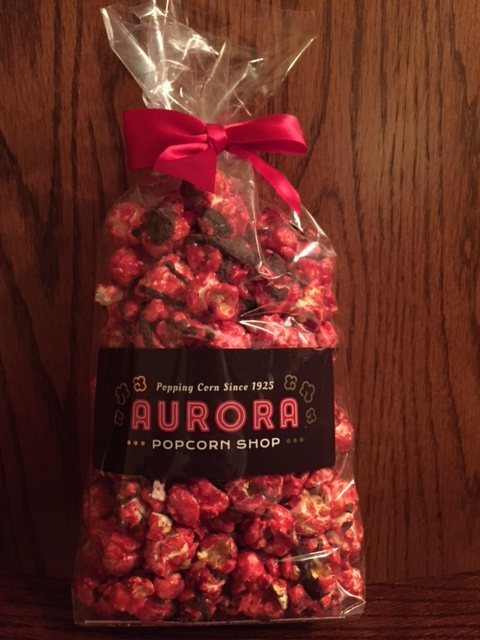 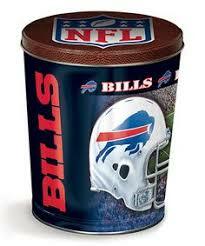 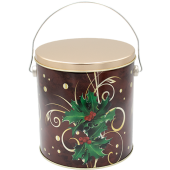 Locally made, chocolate cherry popcorn comes in gift bags or tins that make great gifts for any occasion. 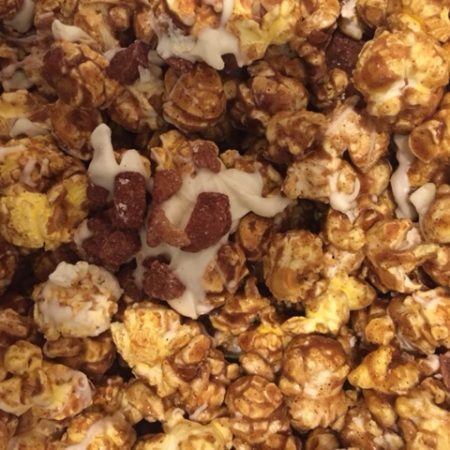 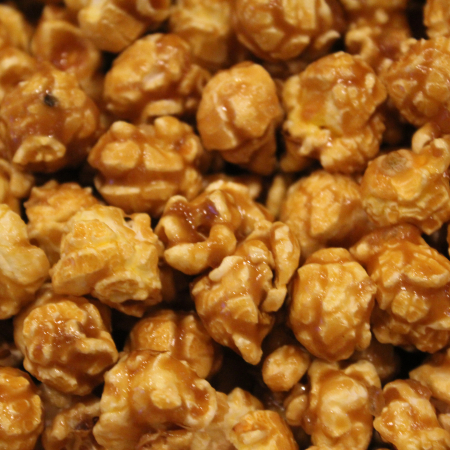 Chocolate Cherry Popcorn is like biting into a chocolate covered cherry candy. 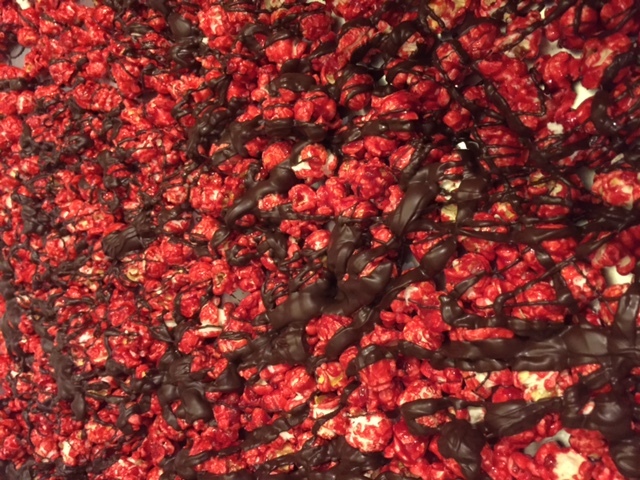 It is a cherry popcorn drizzled with dark chocolate. 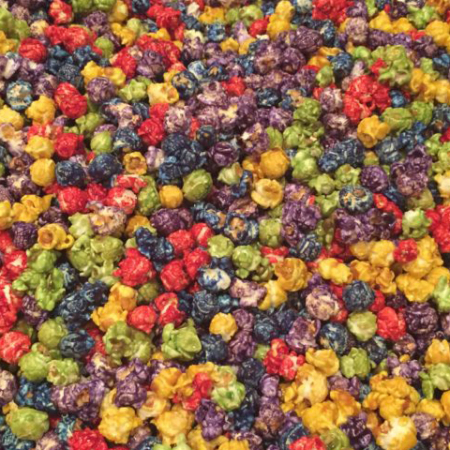 Decadence.